Conveniently located on US 1 South in St. Augustine, Namaste offers delightful Indian Cuisine. Formerly known as Mediterranean Shish-Kebab Restaurant, Namaste is still under the same ownership and has the same great staff. They pride themselves on serving the freshest, authentic Indian Tandoori food. When ordering off the menu, rest assured that you meal is made to order with the freshest ingredients. They also have a lunch buffet that is fantastic and leaves customers wanting to come back. 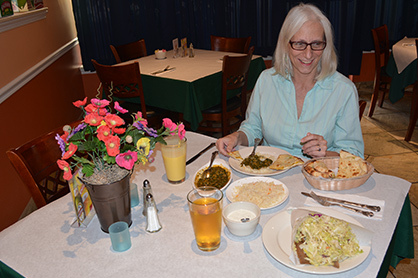 Namaste Indian Tandorri Restaurant is St. Augustine’s only authentic Indian restaurant.